11th of September is “Make Your Bed Day”, so we give you some good reasons to create a new habit that will help you achieve more in the future. The fact that we don’t want to do it is the perfect reason to do it. It is a simple and meaningful task that can remind us that we can do things that are good for us even if we don’t feel like it. Overcoming a mental challenge in the morning sets us in good stead to tackle the other challenges of the day. Mindfulness is about focusing on the present task at hand. Most of us spend so much time in our heads, spinning about the next thing we have on our list, this act of bed-making provides an opportunity to slow things down. We can get back inside our bodies and take a big breath before we launch into our day. 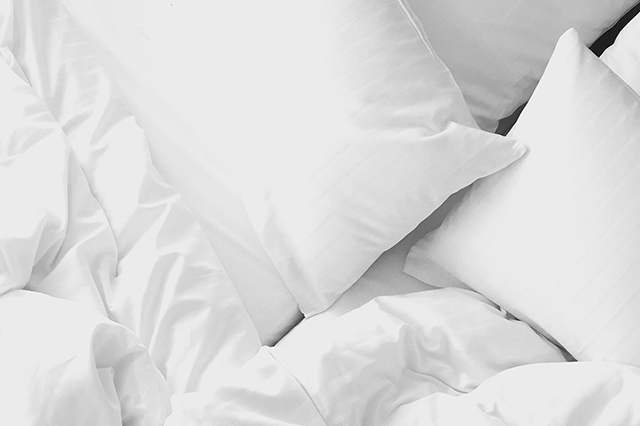 Making your bed is a perfect act of mindfulness, and it ends with perfect completion. Who doesn’t love walking into a room with a perfectly made bed? How can making a bed lower stress? Accomplishing something first thing in the day, and a made bed equals a cleaner bedroom, are just two reasons the practice of making the bed can lead to a reduced stress level. When we are working hard to achieve our goals and dreams additional stress (clutter and mess) is not something with which we need to contend. Small, seemingly unimportant practices, practiced daily, can lead to an ability to create habits with the bigger and more influential things in our life. Successful people need a place to retreat. A bedroom is considered the most physical representation of one’s innermost cave. If that intimate place is a mess, it can be unsettling to the psyche. Having confidence that there is always one peaceful place you can retreat can bring everything down a notch. A bed is the central focus of most bedrooms. If it is unmade it makes the whole space seem hectic and disruptive to the workings of the mind. In his 2014 commencement speech to the students at the University of Texas at Austin, Admiral William McRaven shared his recommendations on success. His first point was “Make your bed.”.